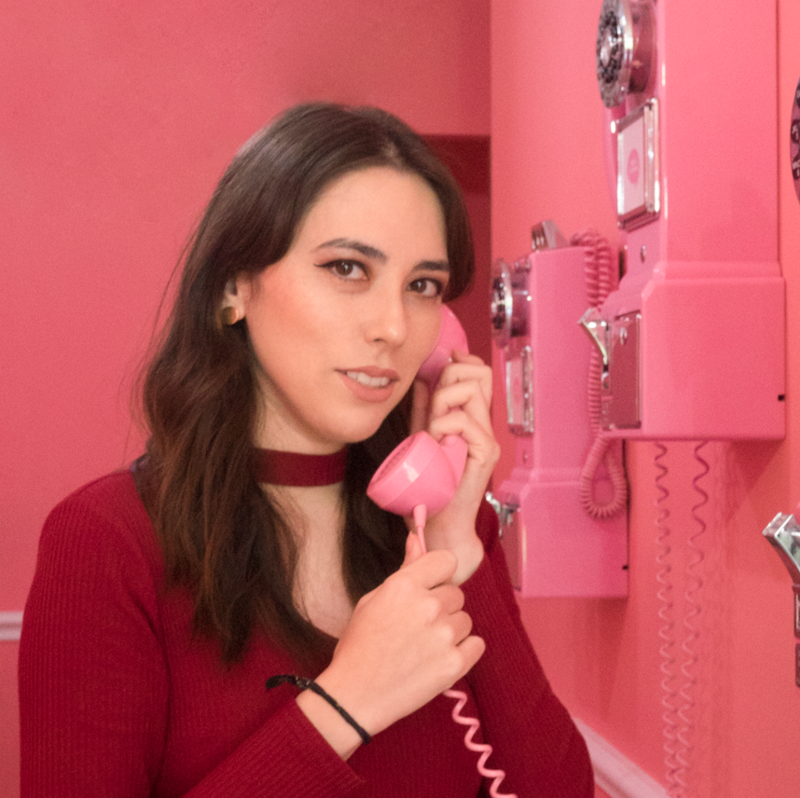 You may think this is a promotion for Christmas because of the colors, but it's not. 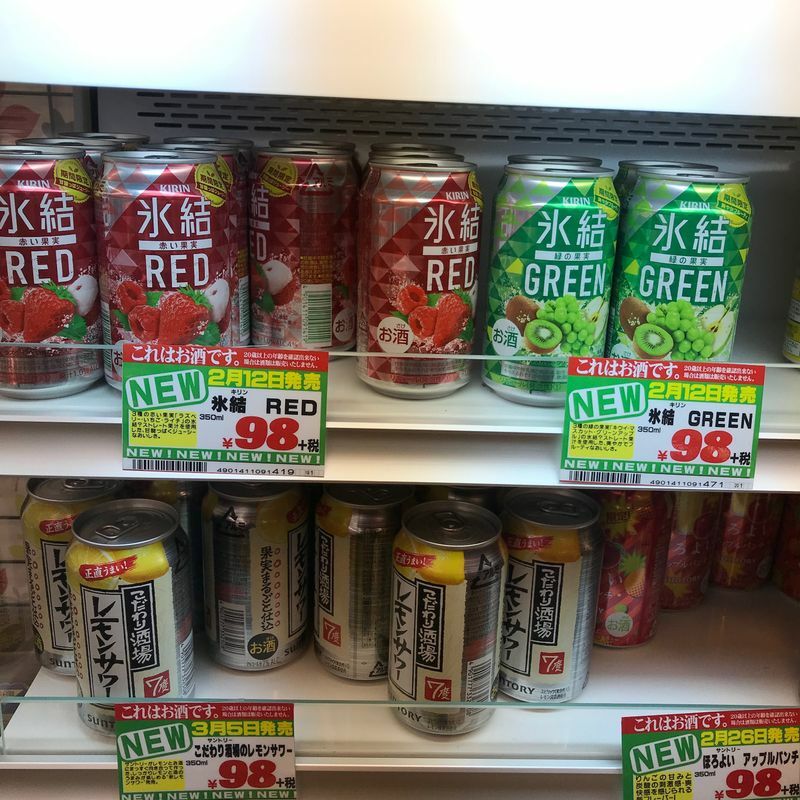 On the shelves now are "Red" flavor and "Green" flavor chu-hi drinks. I found mine at my local Don Quijote a few weeks ago, but I only got the chance to try them recently. I tried Green first because kiwis are my favorite fruit. 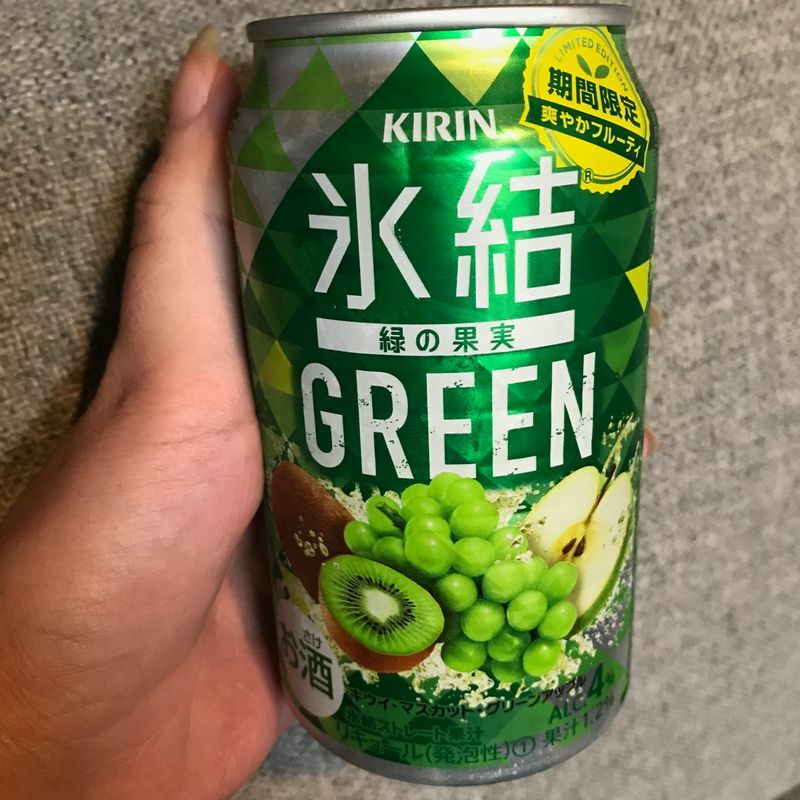 Unfortunately, I didn't taste much kiwi flavor in it. Rather, it tasted a lot like green apple and nothing else. At first, I thought the fruit on the label was a pear, which would've sounded more exotic and delicious, but it was just a boring apple. Either way, I would still buy it again. 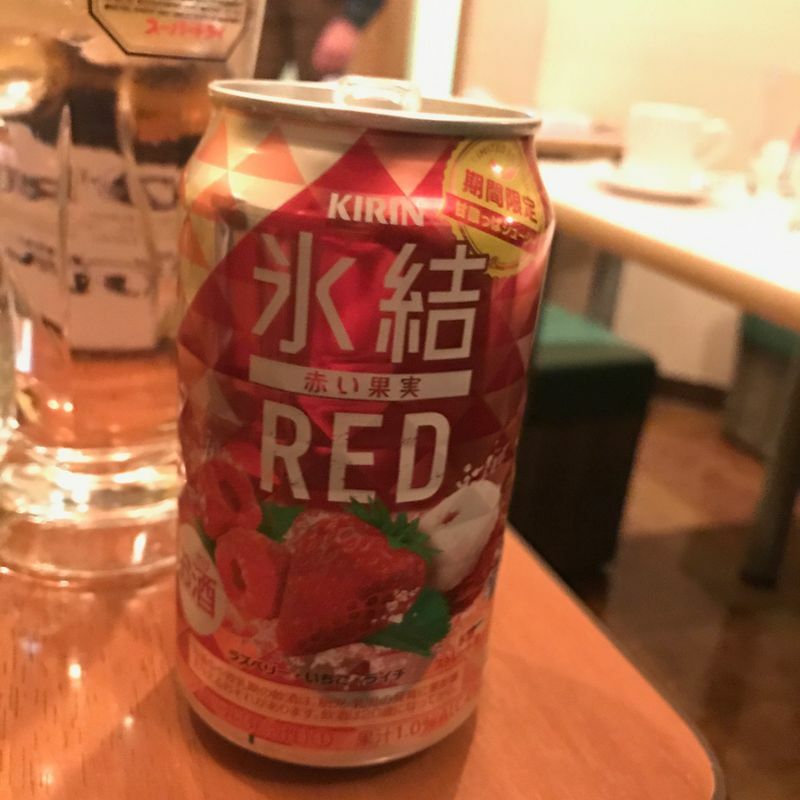 I opened up the Red at karaoke, so admittedly I was already a bit drunk when I tasted it. The Red flavor tasted fruitier, but I couldn't identify the dominant flavor of the mix. I can say for certain that I didn't taste raspberry, though. If I had to choose between Red and Green, I don't think I'd be able to... My recommendation would to buy it as a set and drink both of them! They're both delicious. See if you can make the decision of which is better.